Thousands of people and youth participated in the three day’s (8-10 October 2015) of events of the41st Festival of KNE-Odigitis in the Tritsis park in Athens, which has emerged as the largest political-cultural event in the country. In each area of the Festival, discussions were held on issues regarding important aspects of the lives of young people, and of the Greek people more generally, as well as concerts, musical-theatrical performances, discussions, and activities for small children. The political rally where the GS of the CC of the KKE, D. Koutsoumpas spoke was characterized by its particularly mass participation. T. Chionis, the secretary of the CC of KNE, opened the rally with a message of greetings. The central slogan of the festival was the lines of the Turkish communist poet Nazim Hikmet: “We have a centuries-old impetus… We will emerge victorious even if our sacrifices are great.”. Consequently, the exhibition of photographic and archive material with as its theme the inhuman persecution and the places of sacrifice of the communists in Greece from 1918 to 1974 had a special place at the 41st festival. 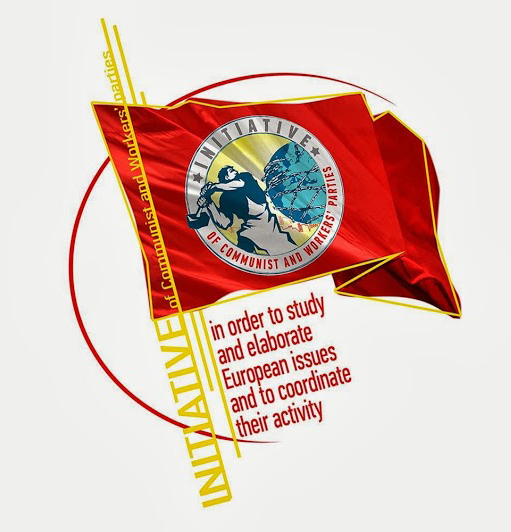 Representatives of dozens of Communist Youth organizations and Anti-imperialist Organizations from many countries from all over the world participated in the 41st festival. On the 9/10 the foreign delegations visited the headquarters of the CC of the KKE and were briefed on the current political developments in Greece and the multi-faceted activity of the KKE by Giorgos Marinos, member of the PB of the CC. After this briefing, KNE held a seminar with the foreign delegations with as its topic: “Imperialist unions, inter-imperialist competition and the stance of the communists.” Elisseos Vagenas, member of the CC and responsible for the International Relations Section, made a presentation on the topic which was followed by a discussion.